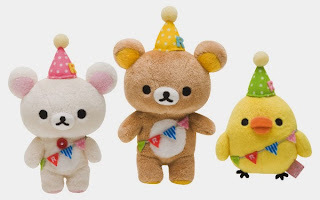 In the month of June 2015, San-X is releasing a series of Rilakkuma & friends with garlands and party hats! It looks like they are ready for some fun filled party! Look at how detailed the garlands and party hats are! Also, it seems that that the material/texture looks like a little bit different from the usual classic plushies. These hanging/dangling mini plushies charms are meant for decorating mobile phones by inserting it into the 3.5mm audio jack. But if you want to use them in other areas, you can also unhook the clasps and hang them on your bags/pouches. I guess you can hang them in random corners of your working desktop area to brighten your workday! The colors of the hats and garlands are slightly different from the bigger plushies. 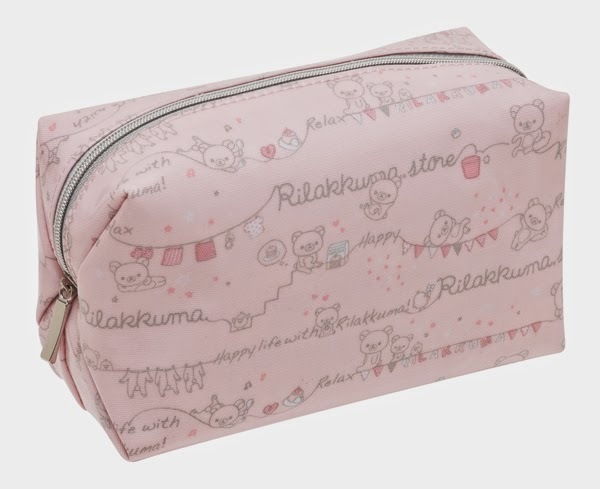 Another item to look out for is this cosmetic pouch! It's really spacious and good for packing your cosmetics and other beauty products. This shade of pastel pink with the garlands make it irresistible. We love it so much that we are keeping one for ourselves to replace our well used and worn out Sentimental Circus cosmetic pouch. 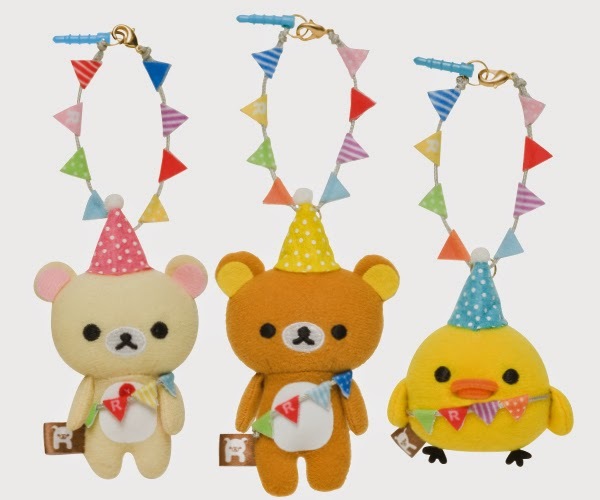 Click here to order Rilakkuma Garland Series Items!